Amara, 30, couldn’t shake the niggling feeling that was something wasn’t quite right and insisted her husband get it checked immediately. 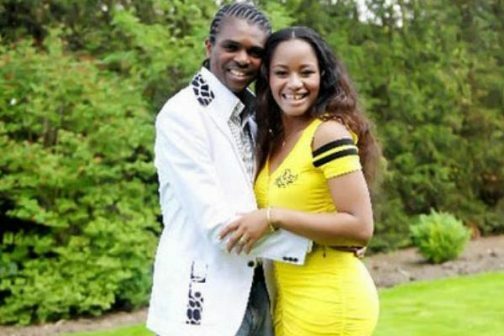 Kanu’s first open-heart surgery was in 1996 after a routine medical examination at Inter Milan revealed the serious heart defect. He was a professional athlete at the top of his game and had just helped his native country of Nigeria win gold at the Olympics. In 2000, he set up The Kanu Heart Foundation to help underprivileged children across Africa with heart problems. So far, it has helped save the lives of 538 children needing urgent heart operations. The couple’s next ambition is to open a new hospital in Nigeria so that families do not have to travel outside of the country for treatment.